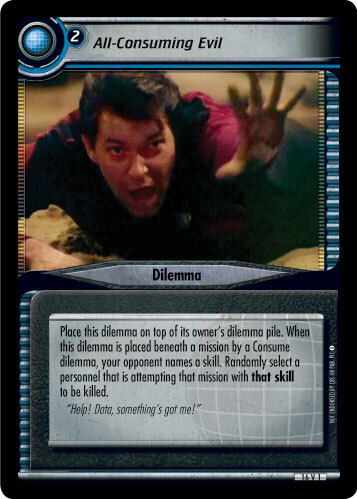 Your personnel cannot gain skills while facing this dilemma. 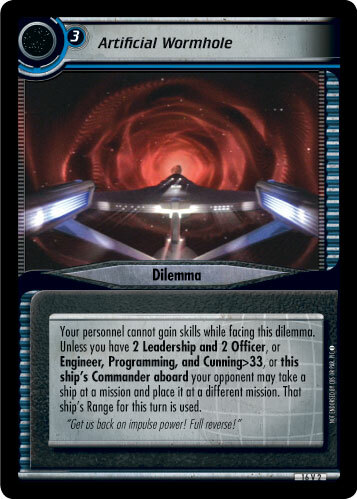 Unless you have 2 Leadership and 2 Officer, or Engineer, Programming, and Cunning>33, or this ship's corresponding Commander your opponent may take a ship at a mission and place it at a different mission. 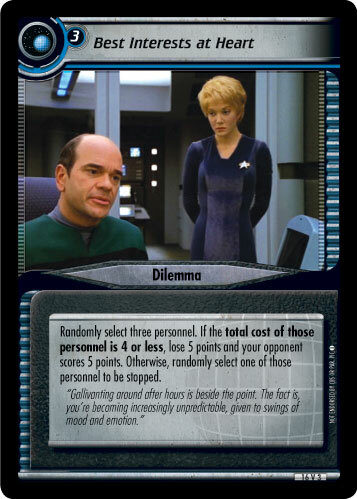 That ship's Range for this turn is used. "Wormhole! Get us back on impulse power! Full reverse!"